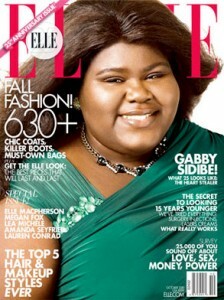 Did Elle Magazine Photoshop Gabourey Sidibe’s Skin Lighter? Elle magazine is in the midst of a huge controvery. Elle is being accused of photoshopping Gabourey Sidibe’s skin lighter. 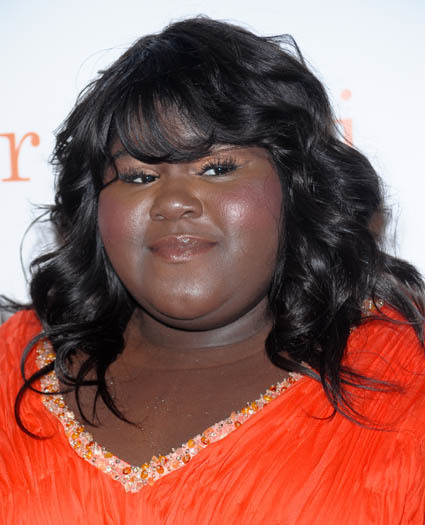 We believe the relevant question here is was Gabourey Sidibe/Precious’s made to look like a person with lighter skin or is the apparent change merely an artefact of lighting conditions. What do you think? Elle is not only being accused of the skin lightening but they are accused of hiding Gabourey’s body. The 25th anniversary issue also features Megan Fox, Amanda Seyfried and Lauren Conrad – now all these three are show full body but Gabourey is shown with only a head shot. Pretty clear what they were doing? Elle, however, insists all its subjects were treated the same – what do you think?